Position yourself in the relevant header or footer (Insert tab, click Header or Footer). Click Quick Parts, and then click Field. 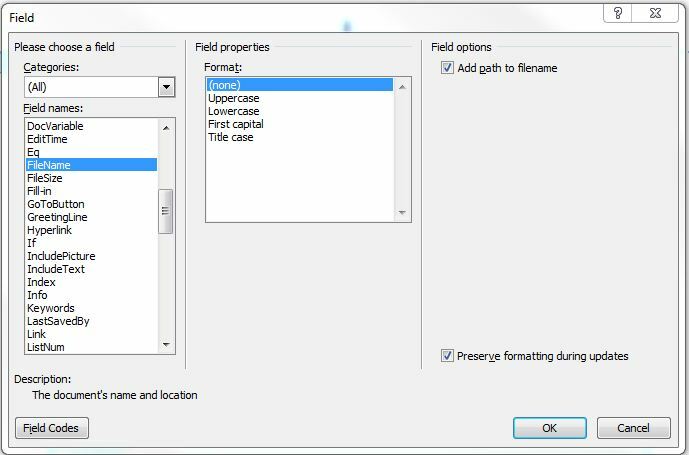 In the Field names list, select FileName. In the dialog box that opens, click on the Add path to filename check box over on the right. Choose OK when finished.